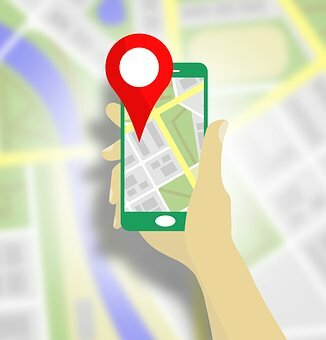 GPS tracking is simply the technique of monitoring the location or positioning of various objects by fitting it with a GPS tracking software. While GPS is the acronym for Global Positioning System using the GNSS, Global Navigation Satellite System network to track or monitor the different devices. The GNSS network involves the use of a number of satellites that transmit signals to the various devices and provide information about their location or the direction one is headed. Some of the objects that can be monitored using this type of technology include vehicles, people, animals and other equipment. It works well in, and some of them have features that can tell the speed at which someone is going. GPS tracking can be of great importance in fleet management or monitoring delivery trucks. You can check out https://www.eyerideonline.com/ for the best GPS tracking device to fit in your vehicle to monitor its location in real-time from anywhere in the world. Perhaps, you can also track wild animals or the aquatic lives using this device too. Different wildlife parks use it when they want to keep track of the movements of the specific animals within the park. The GPS tracking system can also be fixed on smartphone. All you need is to download the GPS tracking app on your phone and monitor the object you wish. You will find these apps as a free download or trial option. Some of the things you can track using your mobile device include your friends or partner's location. GPS tracking in Android devices can be used to track someone's location. Here, you are required to know someone's current location with their area positioning or using their previous positioning. You can also track your children's location to confirm their safety or use GPS device to keep track of your workers in the field, all with the help of your smartphone without the need for extra devices. One error you can encounter, however is the possibility of an inaccurate location information. As such a user's position can also affect the search results. Albeit, you can track someone without asking for their permission, as tracking a phone remotely is also much more possible. Simply install a tracking app on the phone of your target. You will get a portal where you can view the information you need about your target. Make sure you have a stable internet connection for smooth tracking. You can also easily track your lost phone, as almost all Android devices do have an inbuilt feature known as the Android device manager which will ping the location of your mobile device to Google servers. Google can detect the location of your device, all that's required is to have a Google account to use this feature. You can also use the different device tracking applications if you are not comfortable with the Android device manager. The various GPS tracking applications are usually branded as anti-theft security apps. But having a dedicated GPS device is much better because of its extended battery life, good signal quality and reduced risks and cost.